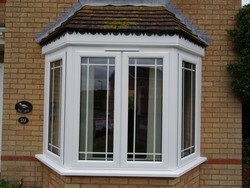 Bay window is a combination of three or more windows that projects outward from the main walls forming a bay in a room, either square or polygonal. Perfect for creating a private little corner in your home for yourself, the projected UPVC windows can be at various angles with each other. 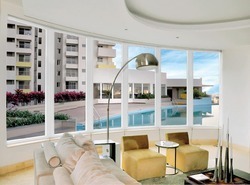 Elegant and attractive, it is one of the most sophisticated window designs known for its beauty and functionality.